Waking up one morning and discovering that you do not have hot water because the heaters have broken down is not an experience you would like to go through. If you do not have hot water and it is cold, then you have to do with cold showers. Hot water heaters also provide heated water for other domestic use such as laundry and kitchen. Your hot water tank may develop leaks, which mean that you have to switch it off for repairs to be done. 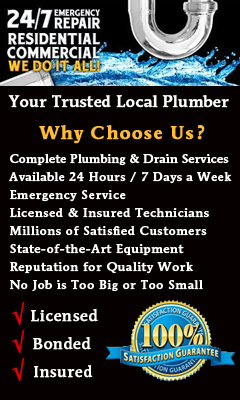 Dealing with water heating problems may not be easy because the issues require specialized technicians to handle them. Hot water pipes could also burst due to increased pressure created by the heated water. Mineral deposits on metallic pipes could erode the pipe’s interior surface causing it to wear out, and with time, they burst and cause leaks. Just like other leakages, the hot water leaks could cause flooding in your home. The water may end up in your building where it wrecks havoc. In addition, the leakages may mean increased water bills. You have to shut down the faucets and main valves when you suspect there is leakage in the tanks or pipes. This will prevent further loss of water or flooding of your home. Water heater problems may be different and could require different professionals to deal with them depending on their nature. When there is no water coming out, it could mean that the power supply is not working. If you cannot identify where the fault is, then a gas company technician may help. The pilot light has to be checked to determine if it has a problem. Similarly, strange noises that come from the heating system could be a sign of mineral deposits or hard water scale. When minerals accumulate inside the pipes, they narrow it down and create more pressure. This could lead to clogging of the pipes resulting to lack of water or low-pressure water coming out from the faucets. High pressure can cause damage leading to flooding as well as loss of water. Treatment of hard water scale and mineral deposits can help in addressing the problems and reduce the noise. Water that collects on the floors where the heater is installed may mean there is leakage. The water could be seeping right from the tank or from loose valves. A leakage may also be caused by obstructed vent of the heater or a faulty heating element. At times, you may have water that is not hot enough and one of the things you have to check for is the thermostat. Mineral buildup may as well consume much of the heat causing the water not to heat sufficiently. This means you may need to flush the tank and the pipes. The worst thing you may have to deal with is a pipe burst because it releases water that could end up inside your home or at the basement. Basements are affected by water leaks because they are situated underground and water seeps through cracks and foundations and settles at the base. If already water has penetrated the walls and foundation and settled at the base, then a water damage restoration company may be called to help pump out the water and dry the affected area.